Big Thrill Factory - Alpha-Omega Amusements and Sales, Inc.
Big Thrill Factory is the Twin Cities go-to place for FUN! 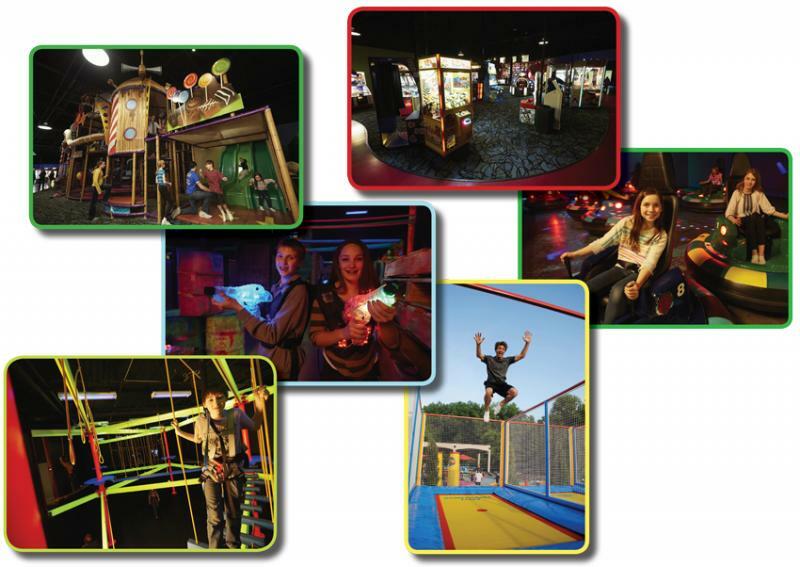 An indoor/outdoor Family Entertainment Center featuring: Bowling, Laser Tag, 3-Story Kids’ Fun Factory, Black Light Ropes Course, Climbing Walls, Arcade Games, Bump N’ Spin Cars, 18 Hole Miniature Golf, Trampolines and more! The Café serves a chef-driven menu including salads, handmade pizzas, wings, sliders, signature sandwiches, sweets and great beer & wine. They specialize in birthday parties and corporate events – big or small. Host an event in one of the private party rooms or rent out the special BTF Event Center.